Welcome to the KRT Worksite page. 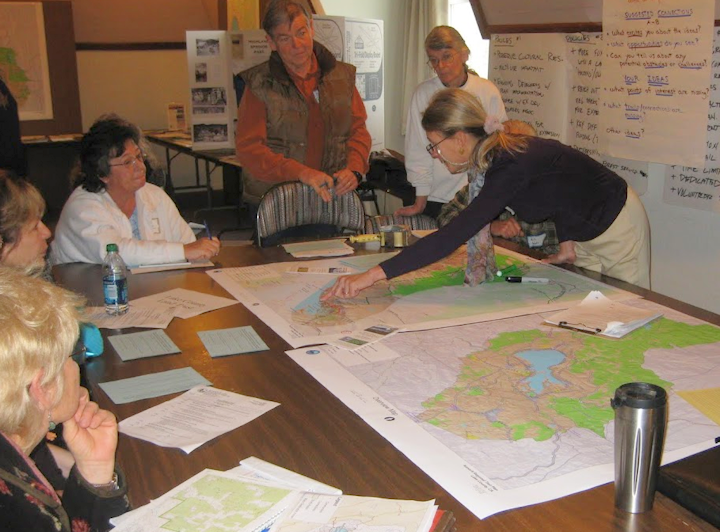 This section contains historical and current information on the county-wide effort to develop non-motorized trails on and around Clear Lake, in Lake County, California. Who is the KRT group? We are comprised of representatives from various Lake County departments, organizations, volunteers and YOU! We need public support and help to make this a reality. Provide input on trail concepts and connections. Attend meetings, give political support. Volunteer to build and/or maintain trails. Collect information on potential trail routes by GPSing and ground-truthing. Write up summaries/descriptions of current trails for posting on the website. If you wish to get on the mailing list, or sign up for potential volunteer activities, you can do so by contacting us or signing up for the mailing list on the left sidebar of this page. Please note that plans are to place trails on public lands. Any trails crossing private lands will only be done with voluntary landowners. Eminent domain is not a consideration. Thanks for being interested in Konocti Regional Trails!